When The Last Jedi’s official novelization comes out next month, it’ll include a few extra moments that weren’t just cut from the movie, but added specifically for the book. 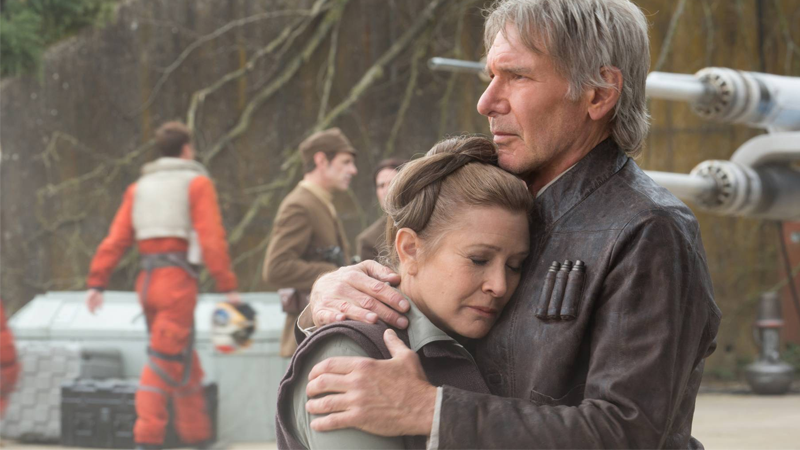 That list includes a glimpse at how Leia and the resistance marked the fall of a Star Wars hero—a moment that, the director says, he just couldn’t fit into the final film. [There was no debate of showing Han Solo’s funeral], just because pacing-wise it didn’t have a place. It’s tough in Star Wars because I always think about the mourning that Luke gives to Ben’s death, which is all of four-and-a-half seconds before, ‘Come on kid we’re not out of this yet’ and then boom, you’re into ‘Yay, woo-hoo! Don’t get cocky!’ There’s the moment for it, but it’s not long. We don’t have time for our sorrows, commanders. That’s kind of the thing of Star Wars; you don’t really linger on grief because you’re moving forward. Instead, the Resistance picking itself up and moving on had to be told through more subtle clues—a lingering shot on a tired Leia here, an Alderaanian mourning braid there. But in the end, with the First Order breathing down the galaxy’s collective neck, there just wasn’t time to stop and mark Han’s passing. At least it’ll get a moment in the book.